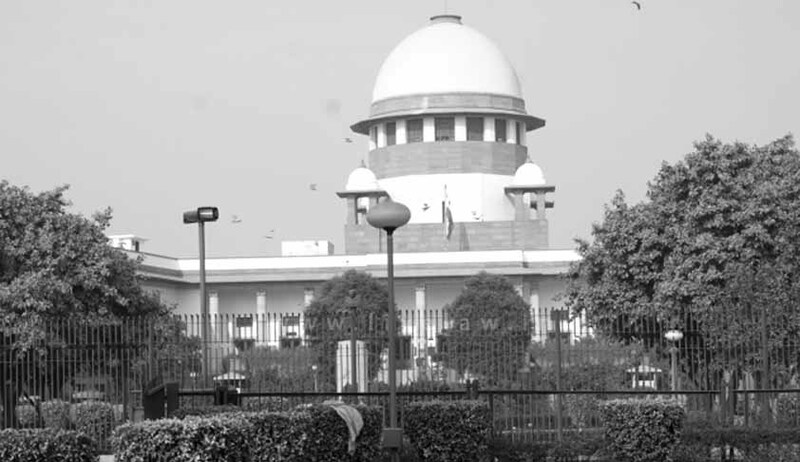 Legal experts demanded re-consideration of a recent Supreme Court Judgment whereby a two-Judge bench of the Court upheld the concurrent conviction and sentence of an accused in a case of dacoity with murder (S.396 IPC) based on a confession statement of accused produced by police to prove recovery of some incriminating articles under Section 27 of Indian Evidence Act. The Bench of Justice NV Ramana and Abdul Nazeer in Raju Manjhi Vs. State of Bihar dismissed the appeal against the Judgment of Patna High Court, whereby the High Court dismissed the appeal filed by the accused-appellant and upheld the order of conviction and sentence passed by the learned Additional District & Sessions Judge, Gaya. The Counsel for the Appellant submitted that the confessional statement of the appellant has no evidentiary value under law for the reason that it was extracted from the accused under duress by the police. According to Justice V Ramkumar, Former Kerala High Court Judge the judgment is neither legally sound nor sustainable. He has explained the way in which the accused committed the crime and shared the spoils. His confession reveals that the accused broke the doors of the house of the informant with the aid of heavy stones and assaulted the inmates with pieces of wood (sticks). The above statements of the accused recorded under Section 161 of the Cr.P.C, in my opinion, go beyond the pale of admissibility under Section 27 of the Evidence Act since they do not distinctly relate to the “fact discovered” within the meaning of Section 27 of the Evidence Act”. “It appears that the bench has relied on a confessional statement of accused before police in extenso on the strength of Section 27 of Indian Evidence Act. Though the section was extracted in the judgment I feel that the bench has omitted to consider the settled position established through earlier judicial pronouncement including the celebrated decision of Privy Council in Kottayya Vs Emperor. Our Supreme Court has time and again upheld the ratio of Justice John Beaumont’s Judgment in Kottayya. In Pandurang Kalu Patil And Anr vs State Of Maharashtra (By (Justice KT Thomas And Justice SN Phukan) the Supreme Court once again explained the Kottayya Judgment and re-iterated that the ratio therein (Kottaya) has become locus classicus and even the lapse of half-a-century after its pronouncement has not eroded its forensic worth. Hence this Judgment needs to re-considered at the earliest”. “S.27 of the Evidence Act constitutes a partial removal of the ban placed on the reception of confessional statements under S.26 of the Evidence Act. S.27 of the Evidence Act lays down that when any fast is deposed to as discovered in consequence of information received from a person accused of an offence, in the custody of Police Officer, so much of information, whether it amounts to confession or not, as relates distinctly to the fact thereby discovered, may be proved. This section is founded on the principle that even though the evidence relating to confessional or other statements made by a person, whilst he is in the custody of Police Officer is tainted, if the truth of the information given by him is assured by the discovery of a fact, it may be presumed to be untainted, in so far it distinctly relates to a fact thereby discovered (see State of Uttar Pradesh v. Deoman Upadhyaya (1961 (2) SCJ 334). As observed by the Privy Counsel in Pulukuri kottaya and others v. Emperor (AIR 1947 PC 67) it rests on the view that if a fact is actually discovered in consequence of information given by the accused, some guarantee is afforded thereby that the information was true and accordingly can be safely allowed to be given in evidence. The Court cannot extend the scope of the section beyond that”. “The discovery of a “fact “is consequent to information given by the accused in police custody. The information becomes a fact , if recoveries or discoveries are made as a consequence thereof . However , discovery of “fact” must never be confused with the confessional narrative ,purportedly made by an accused in police custody, which appears to have been done in this case . That is neither legal nor admissible and is contrary to judgements of larger benches and is therefore per in-curium”, she said. “Really shocked to see the judgment. Dispensation of criminal justice without having knowledge of rudimentary principles over the acceptability of a statement recorded under Section 27 of the Evidence Act and its limitations has resulted in the observations made in the judgment. Let us hope that the mistake will be corrected soon”, he said. Section 27 of the Indian Evidence Act is one of a group of sections relating to the relevancy of certain forms of admissions made by persons accused of offences. Sections 24 to 30 of the Act deal with admissibility of confessions, i.e., of statements made by a person stating or suggesting that he has committed a crime. By s. 24, in a criminal proceeding against a person, a confession made by him is inadmissible if it appears to the court to have been caused by inducement, threat or promise having reference to the charge and proceeding from a person in authority. By s. 25, there is an absolute ban against proof at the trial of a person accused of an offence, of a confession made to a police officer. Section 26 of the Indian Evidence Act by its first paragraph provides "No confession made by any person whilst he is in the custody of a police officer, unless it be made in the immediate presence of a Magistrate, shall be proved as against a person accused of any offence." By this section, a confession made by a person who is in custody is declared not provable unless it is made in the immediate presence of a Magistrate. Whereas s. 25 prohibits proof of a confession made by a person to a police officer whether or not at the time of making the confession, he was in custody, s. 26 prohibits proof of a confession by a person in custody made to any person unless the confession is made in the immediate presence of a Magistrate. Section 27 which is in form of a proviso states "Provided that, when any fact is deposed to as discovered in consequence of information received from a person accused of any offence, in the custody of a police officer, so much of such information, whether it amounts to a confession or not, as relates distinctly to the fact thereby discovered, may be proved." "Section 27 is a proviso to Section 26 and makes admissible so much of the statement of the accused which leads to the discovery of a fact deposed to by him and connected with the crime, irrespective of the question whether it is confessional or otherwise. The essential ingredient of the section is that the information given by the accused must lead to the discovery of the fact which is the direct outcome of such information. Secondly, only such portion of the information given as is distinctly connected with the said recovery is admissible against the accused. Thirdly, the discovery of the fact must relate to the commission of some offence"
The Judicial Committee of the Privy Council in Pulukuri Kotayya v. King Emperor 76 I.A. 65. considered the question as to what part of a statement of the accused leading to the recovery of a knife in a murder case was admissible in evidence. The following confession statement was considered by the Council. Sir John Beaumont held that the whole of the statement except the passage "I hid it (a spear) and my stick in the rick of Venkatanasrasu in the village. I will show if you come" was inadmissible. Holding that the extent of the information admissible must depend on the exact nature of the fact discovered to which such information was required to relate the Judicial Committee pointed out that "the fact discovered embraces the place from which the object is produced and the knowledge of the accused as to this, and the information given must relate distinctly to the fact." The Board was careful to observe that "information as to past user, or the past history of the object produced was not related to its discovery in the setting in which it was discovered. “Information as to past user, or the past history, of the object produced is not related to its discovery in the setting in which it is discovered. Information supplied by a person in custody that "I will produce a knife concealed in the roof of my house" does not lead to the discovery of a knife; knives were discovered many years ago. It leads to the discovery of the fact that a knife is concealed in the house of the informant to his knowledge; and if the knife is proved to have been used in the commission of the offence, the fact discovered is very relevant. But if to the statement the words be added "with which I stabbed A", these words are inadmissible since they do not relate to the discovery of the knife in the house of the informant”. This Judgment was quoted with approval by the Supreme Court in a catena of subsequent Judgments. Section 27 is one of the most misused section in the Evidence Act. Many High Courts called for re-look of this colonial provision. “It is high time to consider whether our Evidence Act which was enacted more then a century back in colonial days of the West should not be radically altered to suit the genius of the Orient. Before embarking on any reform in that direction careful study has to be made about the clear demarcation to be made of the areas where each of the two values-value of truth and value of justice-should be allowed to prevail over the other. Serious thought has also to be given to the question whether the provision as it is in Section 27 should not be taken away from the Evidence Act, it being a blot affecting the self-respect of the nation. But so long as that section forms part of our Evidence Act Courts have to give effect to it”. “It has been the experience of courts dealing with criminal cases to see an unnecessary anxiety on the part of the investigating officers to somehow bring on record a Section 27 recovery, for, they fear that in the absence of a Section 27 recovery the entire investigation will be looked at with suspicion by courts of law. The apprehension cannot, from experience, be said to be well founded. It is where courts of law see an unseemly anxiety on the part of the investigating officers to bring to record an artificial Section 27 recovery, based on confession wholly suspicious, that the entire investigation becomes suspect. And more often then not, such recovery tends to taint the entire investigation with an element of dishonesty. The investigating officers, when not possible, should present to Court a neat investigation, without bringing on record the recovery based on incorrect and false materials, An accused does not normally unburden himself with the information about the weapon with which he committed the offence. It is only rarely that an accused person voluntarily gives information about such weapons and when such statements are made voluntarily, the police can make use of it under Section 27 of the Evidence Act”.